Join us for merry pranksterisms on 4/20 at the Lager House. 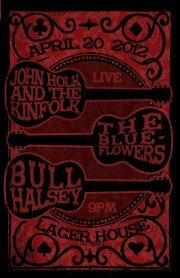 WSG Bull Halsey & the Blueflowers. Dim Lights, Thick Smoke, and Loud, Loud Music….